Stay in Lower Normandy's best hotels! Motel Les Bleuets offers a friendly, family atmosphere, free Wi-Fi and free bike hire. It enjoys a quiet location with easy access to the center of Honfleur. Everything was extremely clean, the beds were super comfy, and the staff excellent. This hotel is set on the Deauville Barriere golf course, a 5-minute drive from central Deauville and Les Planches Promenade. It has a garden and sunbathing terrace, an outdoor swimming pool and a spa.... What I liked the most ? Kindness of staff, all of them without exception. Located in front of Granville Train Station, Au Bout Du Quai features a furnished terrace, a shared lounge and free WiFi throughout. The property is 1.2 mi from Christian Dior Museum. From the friendly staff, to the clean and comfortable room, and the location, this property is a gem. I would definitely recommend this hotel, and would happily stay again. 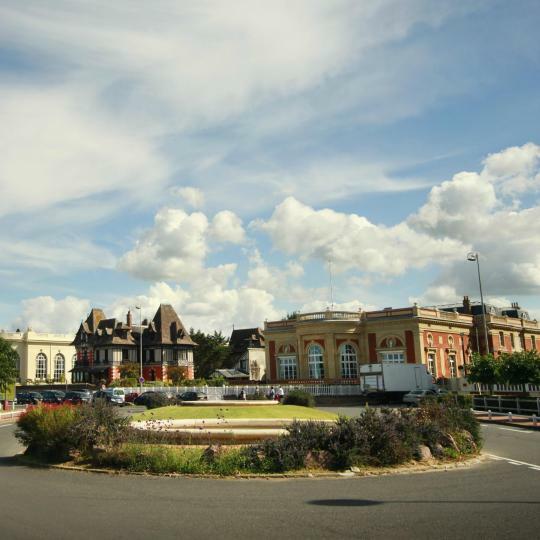 Les Embruns has accommodations with free WiFi in Trouville-sur-Mer, attractively located a 6-minute walk from Trouville Casino and half a mile from Trouville Beach. Located in Trouville-sur-Mer, Les 2 Villas is 591 feet from the beach and a 14-minute walk from Trouville-Deauville Train Station. This hotel offers free WiFi access and a bar. This property is sleek and clean and tasteful. It feels almost Scandanavian in its minimalist simplicity. The beds are comfortable and, although small, our room did not feel tight. I highly recommend the property. 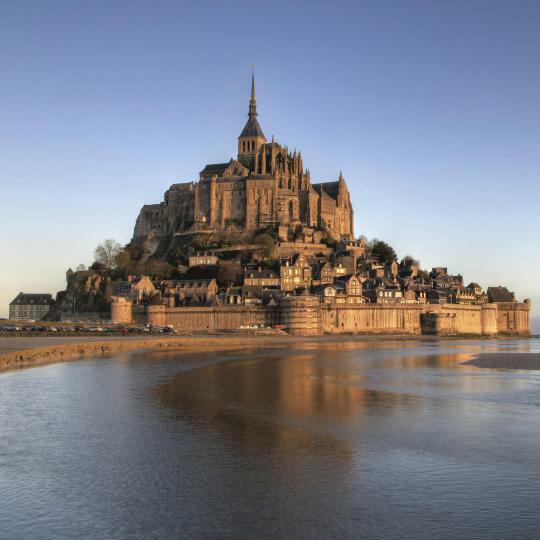 The Saint Simeon is located just outside Honfleur, 656 feet from the Normandy coast. It has an indoor swimming pool and a spa offering a hot tub, sauna, hammam. Everything. One of the best resort experiences in France, ever. Set in a 16th-century building, this hotel is located beside the harbor. It offers elegant accommodations, a spa bath in each room and an ideal location in the heart of Honfleur. The food was excellent, we would recommend this hotel to our friends. Located in the heart of Caen, close to the tramway stop (line 2), hotel Astrid is set 15 minutes from the beach. It offers modern guest rooms with a TV and free Wi-Fi access. The people were fantastic. They were very welcoming and helped me in every detail of my trip. Built on the site of a Cidre orchard, 16 Chambre d'hôtes offers accommodations in Tessy-sur-Vier, 27 mi from Granville. Everything above expectations. Kathy and Randy create a special experience in hospitality. 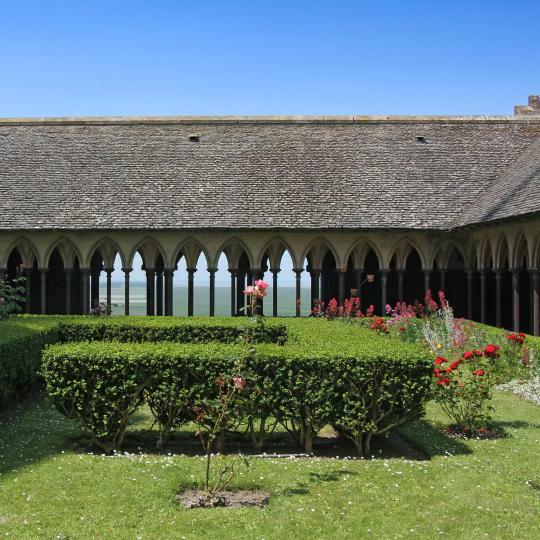 The Auberge De L'Abbaye is located in the Normandy countryside, a few hundred yards from Hambye Abbey. It offers en suite guest rooms with TV and free Wi-Fi internet available. Super comfortable bed and linens; spacious, clean and well designed room; tranquil location. Ace Hôtel Caen Nord Mémorial offers pet-friendly accommodations in Caen - Saint Contest. Free WiFi is available throughout the property and free private parking is available on site. Very clean, comfortable, very friendly staff, nice breakfast, late check out at midday! B&B Hôtel Honfleur is set in Honfleur, 1.7 mi from Norman Museum of Ethnography and Popular Arts and 0.7 mi from Honfleur Normandy Outlet Shopping Village. Easy to find from the motorway. A lovely clean & friendly hotel. Excellent breakfast. Located in Honfleur, ibis budget Honfleur Center is 1312 feet from Honfleur's Old Harbor and 2461 feet from Eugène Boudin Museum. It offers free WiFi and luggage storage. Very good value for the money. Located in front of the marina and 656 feet from Deauville train station, ibis Deaville Center is a 10-minute walk from the beach. It includes a wine bar open for dinner and a bar. The location, just 300 meters away from the train station is very handy! Located in Lisieux in Normandie, Ibis budget Lisieux offers accommodations just 21 mi from Deauville and its beaches and a 10-minute drive from Saint-Pierre de Lisieux Cathedral. Room was very clean and comfortable. Location was excellent! 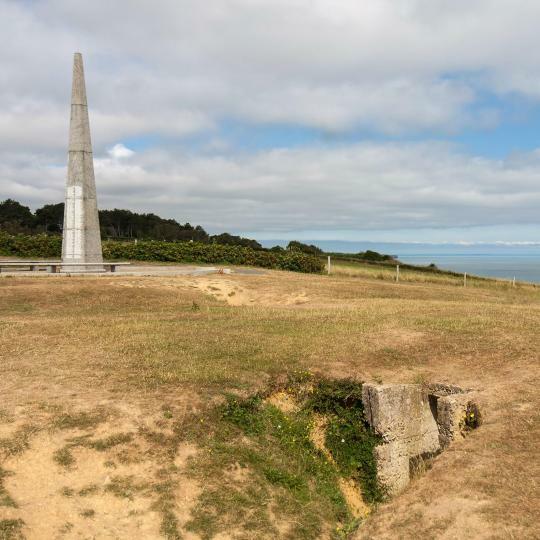 Gold Beach Hotel is located just 656 feet from the beach in Asnelles-sur-Mer and is within walking distance to other D-Day Landing Beaches. The guy at the front desk spoke English and was really nice. Built in 1881, this traditional hotel is in the seaside resort of Granville, just 66 feet from the beach. It offers rooms with attached bathroom with free Wi-Fi access and Canal+ channels. We rented a triple, so our daughter had her own private room. The building was old and beautiful. The Hotel ibis Styles Deauville Villers Plage is in Villers-sur-Mer, on the Côte Fleurie coast, between Cabourg, Deauville and Honfleur. It has comfortable rooms with free Wi-Fi internet access. Clean rooms, good breakfasts, great location! This residence consists of 2 properties located in the Normandy town of Courseulles-sur-Mer. La Cremaillere is a seafront residence and La Crémaillère Côté Jardin is located 328 feet from the beach. Breakfast had excellent variety of foods. Access to this fortified island follows the ebb and flow of the tide, and its town is well worth the steep climb. Take in the splendour of the Abbey while a local tour guide recounts the history of this historic monument. 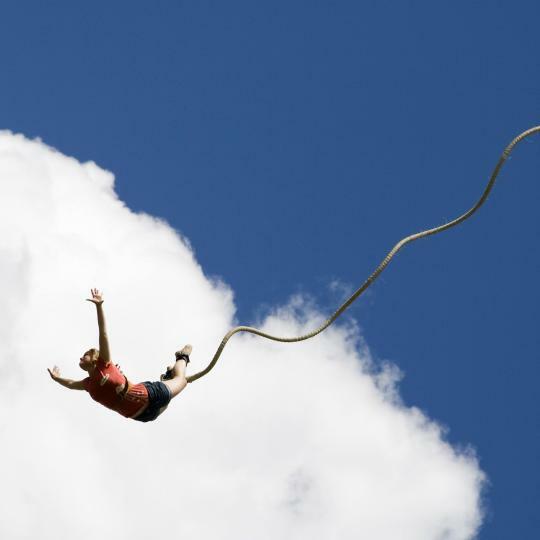 At 61 metres high, leave your inhibitions at the top and bungee into the valley below. 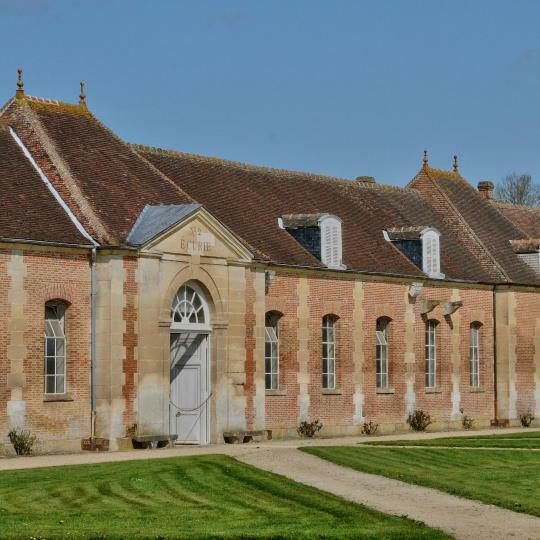 This is Normandy's place to be for horse lovers, renowned for its architecture, landscapes and various breeds of horses. 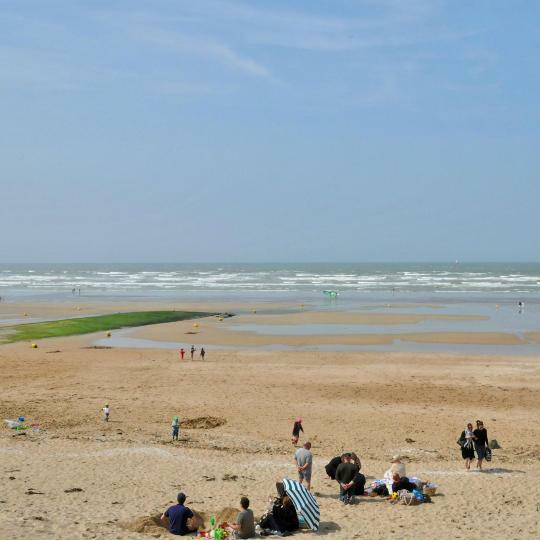 At the mouth of the River Dives, Cabourg beach offers one of the nicest Normandy beaches. The sandy shores are bustling during the summer time. Styled on Marie Antoinette’s Petit Trianon at Versailles, the casino is a luxurious hotspot just 200 metres from the beach. 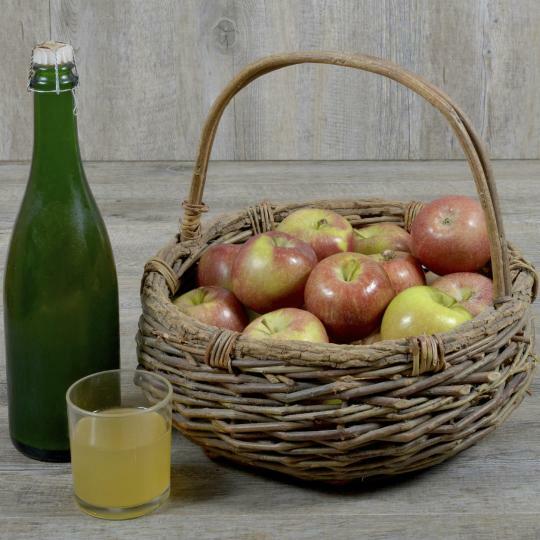 Discover and taste the magic of both cider and calvados making in the Pays d’Auge. Around 160,000 Allied troops landed on these beaches on 6th June 1944 to fight for their countries against Occupied France. 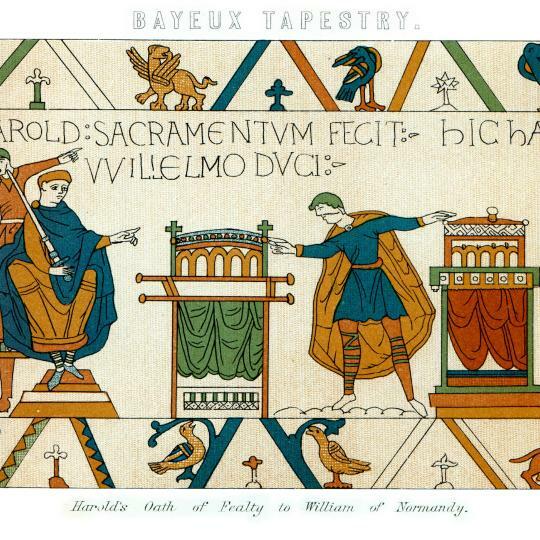 Still intact after more than 9 centuries, this 70-metre-long embroidered cloth depicts the Battle of Hastings of 1066. 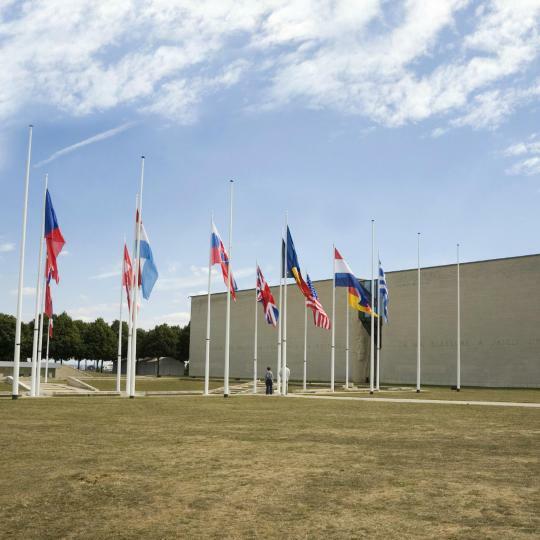 The museum is dedicated mainly to World War II and its grounds include the American, British and Canadian Memorial Gardens. The town of Bayeux was a great location for visiting areas around Lower Normandy. We stayed 4 nights and found that there was something to do in town and with in the area during our stay. Perfect for D-Day beaches and Mont Saint Michel. Both must sees. The Bayeux Tapestry museum was wonderful as well as the D-Day museum both located in Bayeux. Food great! This hotel is in the perfect location directly across from the church and just beautiful. We got upgraded to a spectacular room (called Scarlett) and it was gorgeous. The breakfast was excellent. The parking was a little ways away but easy to find. We just dropped our bags for and parked the car - they had the bags in our room by the time we got back. Not an issue. we stayed here twice on our tour around france - great for kids, my four year old learnt to swim in the pool and the grounds and very pretty with a great play park and bouncy castles! very chilled atmosphere, very close to Le Mont Saint Michel, short drive to shops and restaurants. loved it here, met some lovely people and the kids had fun! Firstable, Bagnoles is a nice and quiet place. B'O is located at the top of the city, with nice view on the landscape. Staff is very pleasant. Rooms are very modern and clean. Swimming pool is week designed for relaxing (water jet for massage etc. ), not for high intensity swimming but that's is not the purpose of such a place. Price is very valuable, room cleaning well and staff also very nice , calm place , we really enjoyed our vacation , little bit far to beach but by vehicle just 10 min so no Pb .. really I can propose this restaurant for vacation.. Bed was very comfortable, shower was delicious, although I would prefer if there was a towel in the bath. Breakfast very good too. I'm sorry I didn't have time to relax in the pool. Wilkcome back in the future. It was a great place to stop over. Although we had no dinner reservation they made space for us. The food was amazing and the bar was very pleasant. Rooms and facilities were excellent. The spa facilities were very good. The staff were very friendly and helpful especially the cleaning staff. Location is perfect! Food is delicious! If we go there one more time, we will definitely book this hotel! The host was most helpful and the estate was very charming. It was a true getaway experience. Located right on the beach. Great breakfast buffet. On site parking. The location on the water and views from our room were fantastic. Breakfast was excellent. The bedroom was really comfortable. The shower was very good, always an important thing! Everything. Property is beautiful and on the beach. Breakfast had excellent variety of foods. Loved the view. Great character!